February 19, 2012 – SECOND POST – WHY HAS THE PRESIDENT NOT USED THE FULL POWER OF HIS ARMY TO CRUSH THE ISLAMIST TERRORIST THREAT? The President of Syria has to consider many factors when he listens to his military advisors. He must consider the present situation: islamist militants entering Syria across her historically porous borders and the threat from the zionist entity to the southwest. It is apparent, that his advisors have counselled against using any of the four Army Groups because present capabilities are sufficient. Those capabilities include the 4th Mechanized Armored Division commanded by Maj. Gen. Maher Al-Assad, the Republican Guard commanded by Maj. Gen. Hafez Makhlouf, Ba’ath Party Militia, the internal security agencies and police. This is quite a formidable array of power wielded by the president. The number of soldiers and agents in this analysis is equivalent to approximately 75,000 men backed by 800 tanks and a veritable and inexhaustible arsenal of missiles, artillery and ordnance. Dr. Assad’s other military advisors include Lt. Gen. Dawoud Rajiha, the Defense Minister, formerly Chief of the Syrian General Staff; Lt. Gen. Assef Shawkat, Deputy Chief of Staff; Lt. Gen. (ret) Hassan Turkmani and Lt. Gen. Ali Habib. In the security arena, he is advised by the heads of military intelligence, general intelligence and political security, inter alia. His spectrum of counsellors is quite vast. So why is the Syrian establishment unable to stop the violence? Dr. Assad is frustrating many of his supporters by not bring the ceiling down on the terrorists. Dr. Assad must be understood in the context of his early life and professional aspirations. Unlike his predecessor father, General Hafez Al-Assad, he is not a career military officer. While he did serve in the Syrian army as any emotionally sound son of Hafez would do, he did his stint as a medical officer with no actual experience in combat. His profession, before he was pulled back from a promising career in England, was medicine. He is a licensed and competent opthamologist. All people who know him describe his personality as “dweebish”, “self-effacing”, “nerdy”, “kind”, “shy”, and so forth. You get the picture. But he is also uniformly viewed as “scientific”, “organized”, “disciplined”, “fatherly”, and even “steely”, this last trait often attributed to his father. I remember once, Walid Jumblatt, describing Hafez Al-Assad as “ruthless but reserved” in an interview with the late Peter Jennings. Dr. Assad clearly has some of his father’s “steeliness”, but I believe it is also tempered by an ability to reflect on the real world as a physician. Dr. Bashar probably believes strongly that he is loved by the Syrian people, a dangerous idee fixe in a world as fluid as that of the Near East. While it is true that he is popular personally, his government is not necessarily embraced with the same affection. In every conversation I have had concerning Dr. Assad, even enemies of the government admit that he is “loyal”, “committed” “liberal” and “farsighted”. But the moment the talk drifts to the government he stewards, words such as “corrupt”, “vicious” and “nepotistic” (al-mahsoubiyya) are used. Yet, you have to deal with the solid base upon which he can rely to support his presidency and leadership of a country that, to some, could easily become twenty countries at the flick of a thumb and forefinger. Dr. Assad is backed by the educated classes in the major cities. These include the college professions: physicians, lawyers, engineers, architects and academics. He is also supported by the middle classes cutting across all sectarian and ethnic lines. Support among the wealthy class is durable and assured, for he, like his father, made sure to enhance the wealth of the landed families of Syria and the aspiring entrepreneurs who now form one of his most reliable bases. Sunnis, who are referred in the Western press as enemies of his rule, are actually one of foundations of his power as long as they are thought of outside the scope of the agricultural or provincial classes. Is this why 90% of the deserters are from the villages? Yes. When we listen to interviews with Riad Al-Asa’d’s team of bumpkins from Northern Syria, one impression cannot be lost: they are disgruntled villagers, rustic accents and all. They even think like yokels; hyperbole, illogic and a deeply ingrained Manichean world view. It has become somewhat obvious that Dr. Assad’s concentration on the urban classes has resulted in his alienation from the working classes in some big cities, but mostly from the rural Sunni farmers and peasants who should have been shouldering his foundation but for his departure from Baathist populism. 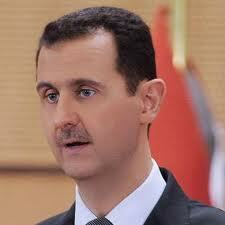 Dr. Assad, you must remember, was raised by Anisa Makhlouf, his mother and wife of General Assad. She and her family are not Baathists but mostly Pan-Syrianists. In this distinction may lie one of the problems. You have to imagine this former Colonel in the Syrian Army with a really thick country drawl. (As a note, you could argue that Dr. Assad’s own family origins in Qardaha in the mostly Alawi coastal mountains of Syria places him in the same category. You could argue this until you hear Dr. Assad speak Arabic. It is obvious he grew up in cities and speaks a sophisticated urban Syrian Arabic). The role of the Ba’ath Party in this conflict is not too clear. I have heard almost nothing from the Ba’ath’s most prominent figure, Abdallah Al-Ahmar. This is quite an aberration, for Abu Jihad was always known for his visibility at times of stress, delivering orotund speeches that vied with those of Fidel Castro or Hugo Chavez. I believe that the Ba’ath is not playing much of a role in this unrest. Certainly, all members of the party are going to stand behind the presidency, but in a meek or much wittled-down manner. When I was in Syria in 1982 and 1983, I knew the Ba’ath very well. It was ubiquitous. As a guest of Youssef Al-Youssef in Tartous and Tahseen Ramadan in Latakia, the Ba’ath Party was at the apex of political activity. Around Hama in February of 1982, I saw first-hand the role the Ba’ath played in crushing the islamist terrorists in the Hadhir and Kaylaniyya quarters. I remember Hama’s governor, Muhammad Harba, smiling into the cameras and declaring that the destruction of the two quarters was an excellent opportunity for “urban renewal”. That was the Ba’ath then. But what about now? I feel like some lunch. I’ll be back.